Boxing Gym premiered June 2011. Glimpse into an American "melting pot" gym. Human violence in its almost infinite variety of forms and consequences is a subject that is thematically linked to many of my films. "Basic Training," "Missile," and "Manoeuvre" are concerned with the training of soldiers to commit violent acts in the name of and in the service of the state when the state is threatened by external enemies. "Law and Order," "Domestic Violence 1 and 2," "Juvenile Court," and "Titicut Follies" are illustrations of the state's efforts to capture, confine, and punish people who threaten the security of their community by committing violent acts. "Primate" is an example of scientific research directed to controlling violent behavior by the insertion of electrodes in the brain. "State Legislature" shows the process of creating laws designed to control and punish violent behavior. The people training at the gym are men and women from all social classes.KO Films, Inc. The sport of boxing is the controlled expression of one form of violence. Boxing is a sport which demands a skillful application of the disciplined use of a ritualized violence either in the service of self defense, sport (amateur or professional), or some aspect of personal development such as strength or image. Boxing is complicated and full of contradictions. It can be bloody, hurtful and cruel, yet requires dedication, discipline, focus, a grueling work ethic, sacrifice, conditioning and ferocious demands on the body and mind. The demands that boxing imposes on the body are similar to the discipline and concentration required of dancers as illustrated in "Ballet" and "LA Danse." 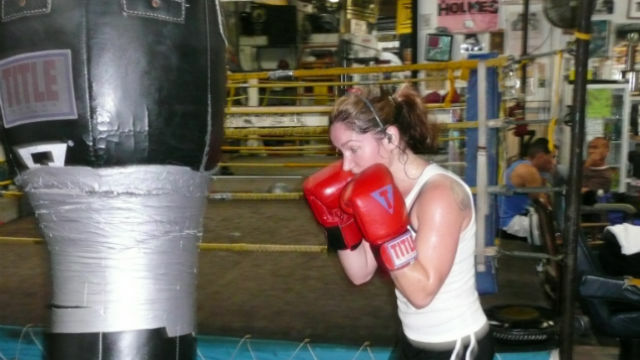 The work of training a boxer, whether amateur or professional, takes place in a boxing gym. A boxing gym is a community institution that serves a variety of purposes in addition to its training function. For some a gym is a home, a refuge, a safe place to escape to from the turbulence of the streets, a place where parents bring troubled children. A gym is also a one-room schoolhouse where the teacher (a trainer or coach) teaches on a one-to-one basis. Many people also think of boxing gyms as shrines and describe them as "living archives of boxing lore." Boxing Gym was shot in Lord's Gym in Austin, Texas, founded more than twenty years ago by Richard Lord, a former professional boxer. The gym is an American "melting pot." The people training at the gym are men and women from all social classes — an Internet billionaire, doctors, professional fighters, lawyers, hairdressers, accountants, plumbers, electricians, college and grammar school students, district attorneys, people recently released from jail, the judge who sentenced them, graduate students in Chinese history, young mothers (married and unmarried) and their babies, recent Cuban and Mexican immigrants, white and black fathers and their sons and daughters, people of many races, ethnicities and ages boxing and working out together in an amicable and collaborative way. © 2015 KO Films, Inc. All Rights Reserved. Text by Frederick Wiseman. Photos courtesy of KO Films, Inc.